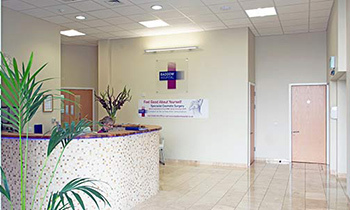 Situated in the quiet village of Baddow Chelmsford, the Baddow Hospital is a purpose-built hospital is the newest private clinic in Essex, with state-of-the-art facilities, comfortable rooms and ample on-site parking. The clinic has good transport links by road and rail, and is only a 20-minute drive from the M25 (J28), or 5 minutes from the A12 and A130. 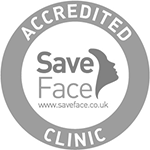 We offer consultations and perform our full range of non-surgical and surgical procedures on site at Baddow Hospital. Leave at Junction 28, and follow the A12 signposted Chelmsford. After 14 miles turn off at Junction 17 to Chelmsford. Take the first exit (A1114) at the roundabout. After ½ mile, take the slip road signposted Great Baddow/Sandon. At the top of the slip road, bear left, then take the first left into West Hanningfield Road. Baddow Hospital is approximately 800 metres further on, beyond the small roundabout. Chelmsford has excellent rail links with London and the East of England. Up to six trains an hour connect Chelmsford to London Liverpool Street, with a journey time of about 35 minutes. Chelmsford railway station is located in the heart of the city centre.